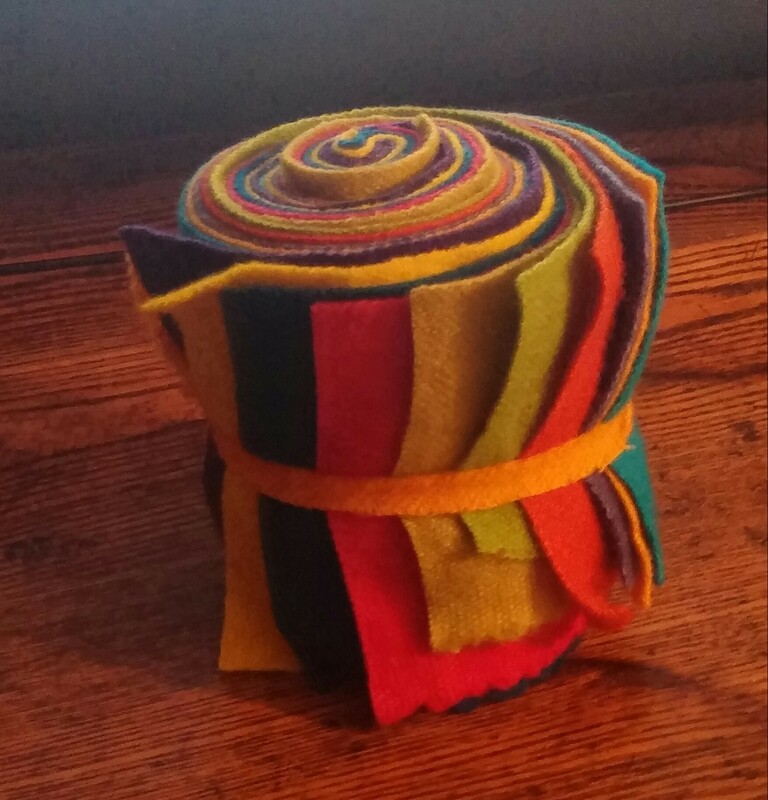 Our 'shoppe' features quilt and hand-dyed wool appliqué kits as well as patterns and books! 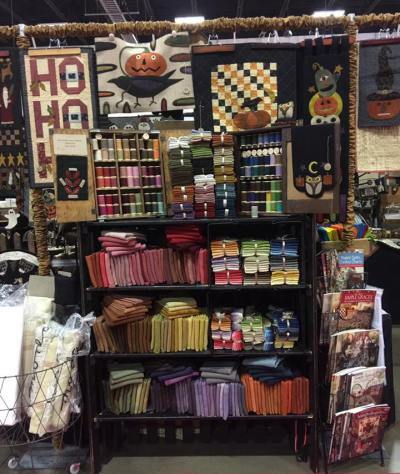 We have a big assortment of punchneedle supplies - Morgan interlocking hoops, interlocking hoops, Ultra Punch Cameo punchneedles, lap stands, patterns and flosses from Weeks Dye Works, The Gentle Art, Valdani and Rustic Wool Moire thread in over 100 colors. Our hand-dyed wool comes in FQ's, F8's and F16's as well as 5" charm packs in many beautiful colors and textures. And our latest offering is 'VALUES' which are bundles of 6 pieces of wool in a gradation of a beautiful color, offered in two sizes - 6" x 8" and 6" x 16". Moda and Andover cottons, wovens from Moda and Diamond Textiles as well as Judi Rothermal Civil War reproduction cottons complete our inventory of fabrics. 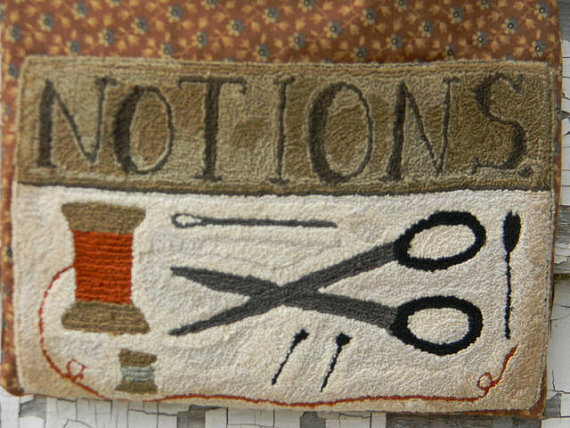 In other words we've got all your quilting, appliqué, hand-dyed wool and punch needle needs covered! Please check our Clearance Sale for some great bargains. 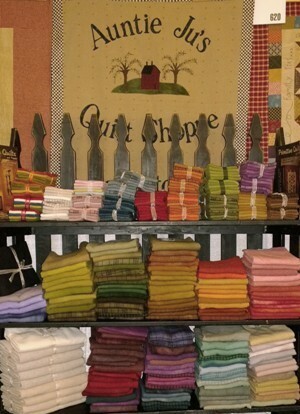 Lots of wool kits just added, as well as fabrics, books, etc.! 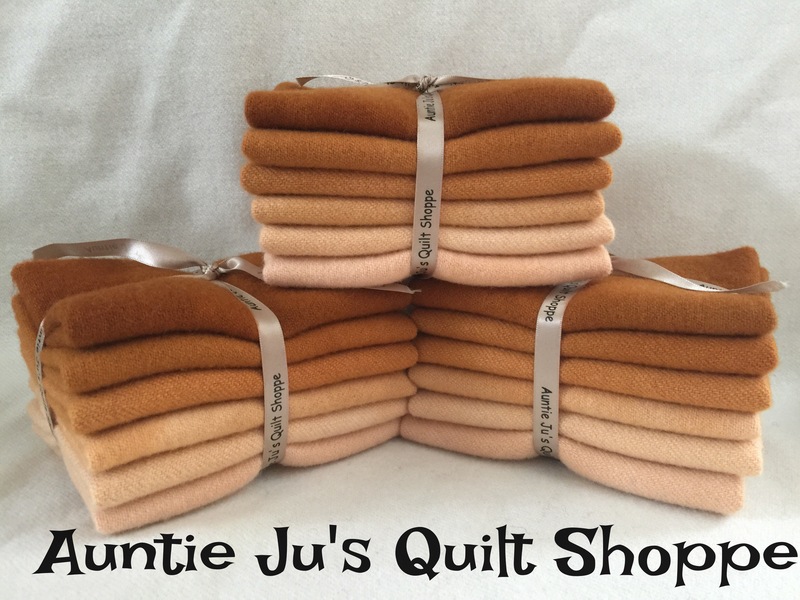 Auntie Ju's Quilt Shoppe carries a large selection of beautiful hand-dyed 100% wool, available on plain, textured or plaid woolens. (The plaids will vary due to availability). All of our hand-dyed wools are suitable for rug hooking, quilting, appliqué and crafts. The wool colors shown on our products pages may vary depending on your computer. Dorr Mill, The Wool Studio and Heavens to Betsy woolens are used for all of our over-dyeing. We do all of our own dyeing in house and treat each piece to a colorfast bath, a gentle rinse and low-setting dryer. We work in a smoke free environment and your woolens will arrive already pre-felted and ready to use......no additional processing is required! New colors are constantly showing up in the 'dye pots', so keep checking our website. We specialize in patterns, books, needles, hoops and all things punchneedle, including over-dyed, variegated flosses from The Gentle Art, Weeks Dye Works and Valdani as well as Rustic Wool Moire Threads. As you can well imagine, after many years in the business we have accumulated many shop samples for which we no longer have kits and/or patterns. We are now offering these samples for sale. Quilters who have run 'out of time' and non-quilters, in particular, will be interested in purchasing these ready made items for gifts. Please click *Shop Samples to see what we have. We're adding new items all the time, so be sure to check-in frequently and please don't forget to tell your non-quilting friends of this opportunity! Flea Body's Antique Mall at 3405 Market Street, Wilmington NC 28403. Happy Shopping, wherever you find us!!! !